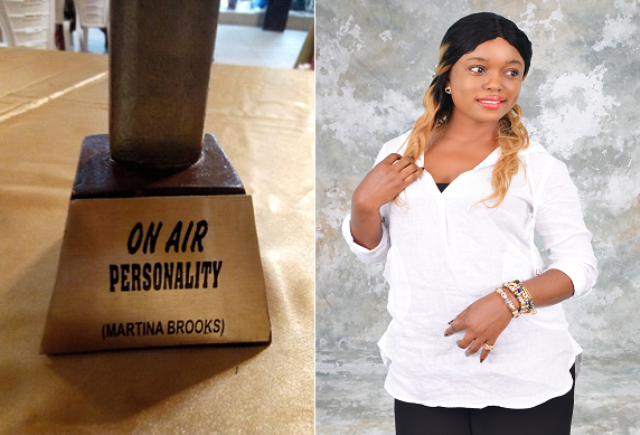 Lagos, September 19, 2017: Ms. Martina Brooks, a Liberian female journalist, has been officially awarded as ‘The West Africa On-Air Personality 2017 Award’. A dispatch from the Liberian Embassy in Nigeria says Brooks was crowned at an event held at a hotel in Lagos, Nigeria on Sunday, September 17, 2017. According to the organizers, the Liberian won as a result of her “immense contribution to radio broadcasting in Liberia and Africa”. This followed an independent evaluation through a systematic vetting process. Her award makes it the first time that a Liberian female broadcast journalist has won such an award. According to the dispatch, the Vice Chairman of the Organization of Liberian communities in Nigeria (OLICON), Mr. Abubakar Sidiki Kanneh and two other members, Ms Arpue Adora Marvey and Mr. Collins Prince represented and received the award on behalf of her. Brooks is currently working as a senior radio producer with the United Nations Mission in South Sudan where she recently took up an international assignment. 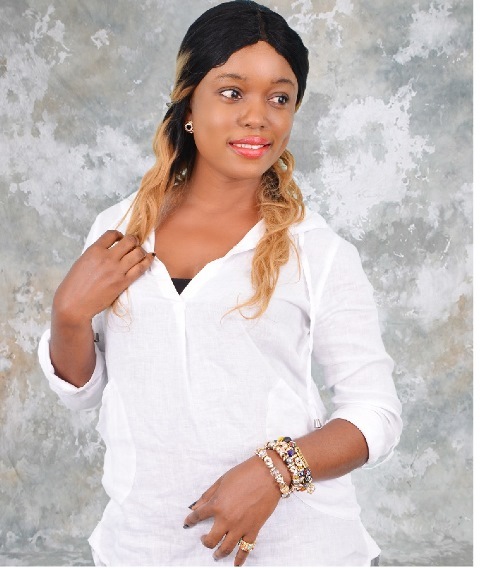 Until then, she worked with the United Nations Mission in Liberia (UNMIL) Radio in Monrovia, Liberia where she began as an intern and later a sports reporter where she went on to become the country’s best female sports journalist. While at the UN Radio in Liberia, Brooks’ hard work and professionalism earned her as an editorial coordinator, breakfast show presenter as well as other programs, including providing supervision for youth producers. “Thanks to everyone for the support. You guys showed me so much love than I deserve. The award belongs to all of us because Liberia has won. Congratulations to Liberia. I dedicate this award to God almighty”, Brooks said. “I also want to dedicate it to Mama Liberia, to my family, and to the memory of Quincy B. Thanks West Africa”, she added. Brooks says the award has inspired her to keep working hard in her field to inspire others. “I want to ensure that my work as a journalist can push forward the development of West Africa, to build upon what I have achieved over the years and to serve as a role model for young journalists”, the dispatch quotes her. The hunt for ‘The West Africa On Air Personality Award’ began on August 4, 2017, with 18 nominees drawn from different West African countries. The voting process, which was the first phase, ended on August 23, with the top five nominees. The Liberian ended the first phase with the highest number of votes among her regional competitors. Then the second phase, based on the work done by each of the five nominees and their achievements over the years, saw her finishing with the highest votes.